Now in its seventh year, the Stoke Newington Literary Festival returns this weekend with a big focus on local writers and publishers, music and food. Some of the highlights from this year’s programme include Hackney writer Dawn Foster, who will be discussing her book Lean Out at 3pm on Saturday 4 June in the Unitarian Chapel. The book looks at the rise of what it sees as a corporate ‘one per cent’ feminism that exempts business from any responsibility for changing the position of women in society. Local independent publishers Influx Press are to stage author readings from An Unreliable Guide to London, comprising 23 stories about the lesser known parts of the city. On Saturday evening, one of the festival’s music highlights sees ex-Ruff Sqwad grime MCs Roachee and Prince Owusu talk to writer Kieran Yates at 6pm in Ryan’s Bar. Then at 11am on the Sunday, the legacy of the Harlem Renaissance – the artistic and intellectual movement that kindled a new black cultural identity in 1920s New York – is the subject of a memorial event for Eric Walrond, one of only two writers buried in Abney Park cemetery. Fifty years after Walrond’s death, his biographer James Davis flies over from the US to talk to Diane Abbott MP, Colin Grant and Hackney writer Robin Travis about the writer’s profile in the UK and his work with Marcus Garvey. On Sunday afternoon, Observer journalist Jude Rogers talks to punk musicians Gina Birch, Pauline Murray, Shanne Bradley and Helen Reddington about the impact of punk on women at 1pm in Abney Hall. Shortly afterwards, the co-founder of the Quietus music website John Doran will join author Simon Mason in The Prince pub to talk about his experience of why the music business and drugs seem inextricably linked – one of the big topics of his 2015 memoir Jolly Lad from Hackney publisher Strange Attractor. 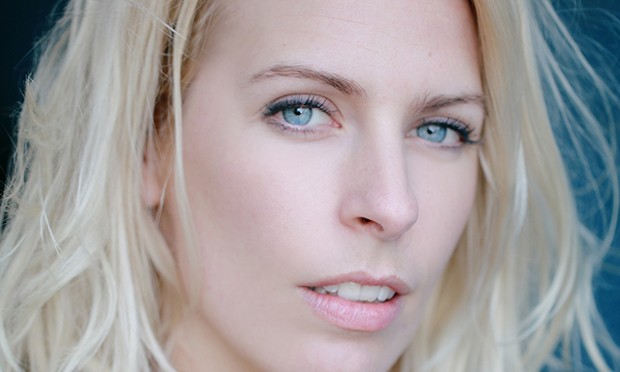 Alongside local writers and publishers, the festival also features a few big names: comedians Sara Pascoe and Robin Ince will be lighting up Stoke Newington Town Hall on the Saturday night, and novelists Jonathan Coe and David Mitchell will close the festival on Sunday from 4pm. There are also a tonne of food events in St Paul’s Church. Weekend ticket holders can nab limited spots on a walking tour of Hackney bakeries, as food writer Xanthe Clay introduces gozleme and baklava experts at Hackney’s Turkish and Kurdish bakeries from 12.30pm on Saturday. Perhaps the most curious event on the bill is a food panel featuring Stoke Newington resident Ed Balls. The former shadow chancellor will be appearing at St Paul’s on the Sunday, where anecdotes about sandwich faux-pas on the campaign trail will presumably give audience members much to chew on.